Home“You May Dispense With The Pleasantries, Commander”: THIS IS IT! BRAD CONFRONTS ZAN DOKA!! “You May Dispense With The Pleasantries, Commander”: THIS IS IT! BRAD CONFRONTS ZAN DOKA!! “Good. I can feel your anger. I am defenceless. Take your weapon! Strike me down with all your hatred, and your journey towards the dark side will be complete…” – Emperor Palpatine. We CAN’T wait any longer! Get ON with it, already! “Command Ztation, zeez eez ZT 3-2-wurn. 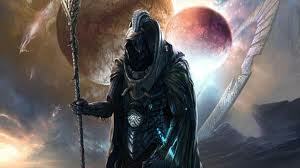 Code Clearence Blue,” announced the Zandokan pilot as the Zoulzukker approached the Imperial Ztodgeztonker. In the Imperial Foyer, the Dark Lord strode towards a turbo-lift, anxiously awaiting its occupants. The doors slid aside and two guards exited, followed by the leader of the Kriegzlide Killzquad and his prisoner, who gazed at Zegreatme with complete calm. The Commander extended his hand, revealing the egg-whisk that the Battleforce Commander-turned-blogger had “borrowed” from the canteen on Wotsit IV; Brad chortled heartily. Zmutti Zubizmaar and the guards withdrew. The rotten antagonist and the groovy protagonist stood alone in the oddly tranquil beauty of the place… until Zegreatme growled and flung the whisk aside. “Ze Emprah hez been expecteenk yo,” the Dark Lord muttered as they walked back into the flagship. “Uh, we had a slight weapons malfunction, but uh… everything’s perfectly all right now. We’re fine. We’re all fine here now, thank you. How are you?” – Han Solo. Just as they rounded a corner, Brad hurled himself into the Dark Lord, sending him clattering and swearing inanely into the wall opposite. As mad as a bicycle, the reluctant infiltrator dashed off with a gaggle of guards in hot, clanking pursuit. To one side, a door slid up; instinct compelled him to hurl his ripped bod through. He found himself in a sizeable hall – penetrating blackness prevented him from sussing out how large. The abrupt, booming voice reverberated malevolently. Your hero slowly turned, and there, in an opulent throne sat the most imposing figure Brad had ever encountered. It was bedecked in brilliant purple biochemech armour, and wrapped in the most extravagant crimson cloak. No head could be seen. 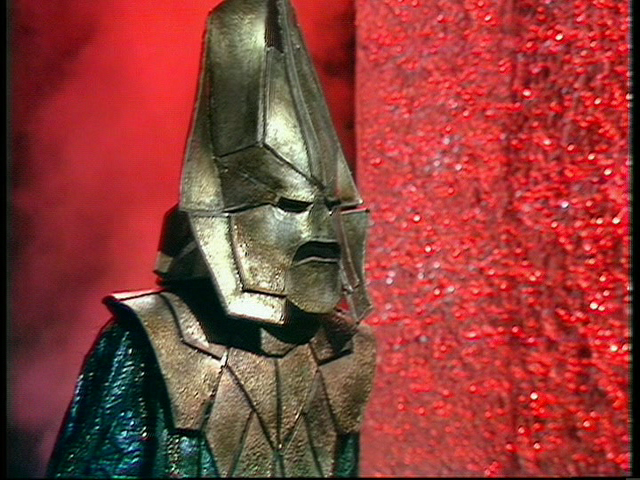 That despicable voice emanated from within an oversized, conical silver-plated helmet as worn by the Varlok warlords of olde. “Prezizely, Commandair! EMPRAH ZAN DOKA: RULAIR UV ZE UNEEVUZZ! “Who talks first? You talk first? I talk first…?” – Poe Dameron. “Ha! Nut even yer louzy poetry ken harm me!” Emperor Zan Doka sneered. Brad sensed a gargantuan fella lumber in to stand beside him. “Eet eez UNWAZ to queztion ze Rulair Uv Ze Uneevuzz, Urfmairn…” Zegreatme grumbled. Brad’s cute eyes lit up. Brad’s cute eyes lit up again. “Yer overconfidence is yer weakness,” exclaimed Brad. “Power is the only freedom that I seek. Absolute power is absolute freedom” – Omega. “Lord Zeg, leave uz,” Emperor Zan Doka exclaimed. “Yeah, already missin’ ya, Dork Lard…” the Battleforce Commander-turned-blogger drawled as he watched his arch-nemesis depart. Brad froze, staring at a delectable object on a stand beside the Emperor’s throne. All of a sudden, your hero felt a tingling sensation in his mind as the Emperor held aloft his long, spell-casting talons. “Uh… yeah, man… I wanna eet ze… ‘ang on…!” Brad shook his head, holding the tasty-looking wodge in his gloved hand, sniffing it. “Put down your weapons! 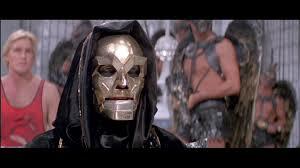 No one, but no one, dies in the palace without a command from the Emperor” – Klytus. Zegreatme and the Praetorian Guards sprang to attention. “Ya ken zay ZAT eggen, Zeg! 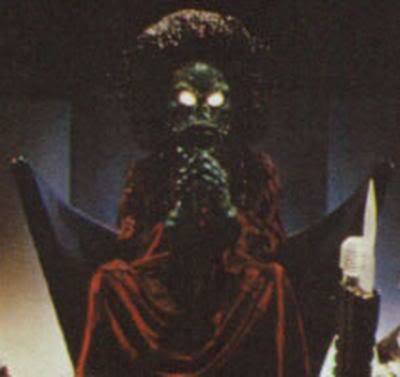 VUKK, ‘e’z zumzeenk elze… Een ULL MAY DAYZ, Ay hef NEHVAIR beefur met ‘ee’z laike…” Emperor Zan Doka grumbled. “Nutheenk yo ken get ta greepz weev, Zeg… Oh! Wun murr theeng… Remove the blockades from Gondabek, Otthon IV and Burgonya. Oh! And – while you’re at it – withdraw the garrisons from Oberon and Shazbot…! And Tufluk! ‘Tiz yer Emprah’s weel! EDVENZ EET! KNOW…! And with that, they marched away down the corridor. “Go and seek out Baltar. Tell him I am displeased. Tell him I offer a choice: deliver the Battlestar… or deliver his head” – Cylon Imperious Leader. “Blimey, Commander! Ya jus’ gotta tell me ‘ow ya got ‘old o’ th Emperor’s cloak!” Bagel enthused as the two Rebels marched towards the Detention Level. “What-?! BRAD?! But how…?” his Second Officer cried as she flung off her helmet. It- say! Where’d you get THIS? !” Lexi gasped, fondling the rich sheen of Brad’s new crimson velvet wrap. The Imperial tannoy crackled and whined up and down the corridor; Brad’s headache throbbed even more, as his arch-nemesis bellowed maniacally. “Gawd…! Lays it on a bit thick, doesn’t he? !” Lexi gasped. Just as Brad jumped out to expose himself, Lexi tugged him back and sprinted stealthily across the concourse. “…I’ve never before met your like. You’re a hero, don’t you see that…? You really prefer death to a kingdom? I’m disappointed. 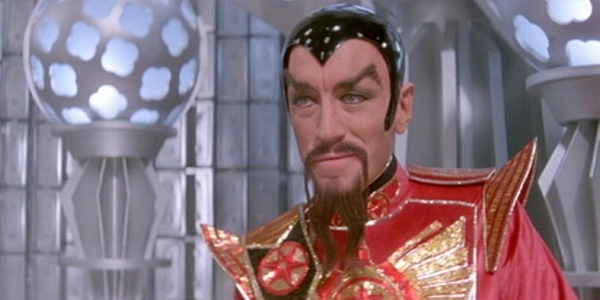 I’d much rather see you on my side, than scattered into… atoms… but, as you wish…” – Emperor Ming The Merciless. “PUNCH IT, LEX!” the Battleforce Commander-turned-blogger (eventually) wailed, and the colossal ion engines of the Imperial Zentinel shuddered and howled into life. Within seconds, the tired – but triumphant – trio found themselves zooming away from the Imperial flagship. And… YES! As expected, whenever Zan Doka’s vessel blasts off, the Imperial Lightning Field is automatically deactivated – HUZZAH! On-board, Brad flopped into the co-pilot’s seat next to Lexi. Of course, the Battleforce Commander-turned-blogger had to wade in and settle the dispute: “Now then! Now now! What’s goin’ on ‘ere, now? Then…? Let’s NOT end this adventure wiv anuvva foight, puh-lease! Be cool! “You came in that thing? You’re braver than I thought…” – Princess Leia Organa. Thank u SO MUCH, Kim! I really appreciate th feedback, always! Another swashbuckling adventure to brighten my Wednesday! 🙂 Excellent work! Aaaahh, YES! 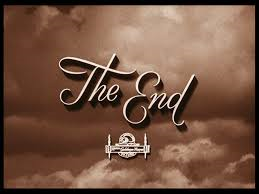 Brilliant conclusion! And I was certainly excited to see the guarantee that “BRAD FARTLIGHTER WILL RETURN” at the end. These never fail to disappoint. Thanks for the smiles and the adventure! Had a great time working on this one. So fizzy and feelgood, they r such good fun to do. I’ve got plenty more groovy ideas in th pipeline! Don’t forget Part 2: Th Merchant Of Menace – u’ll love that one just as much, I guarantee it, amigo!